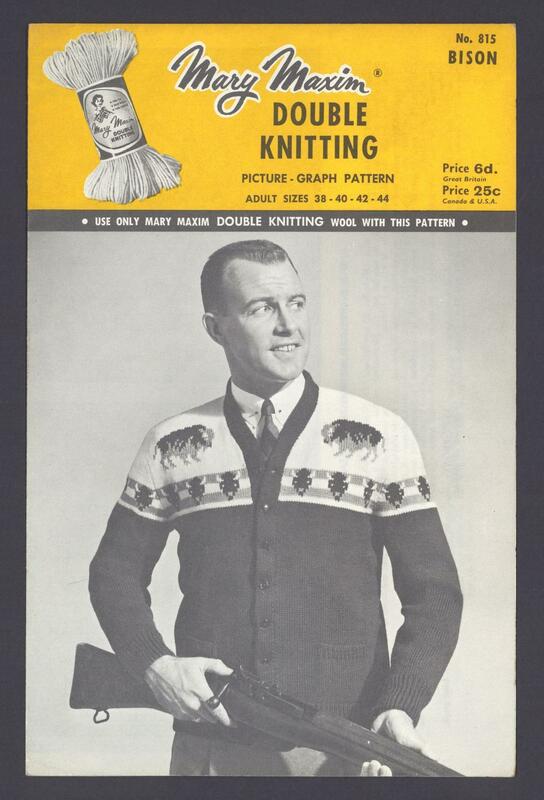 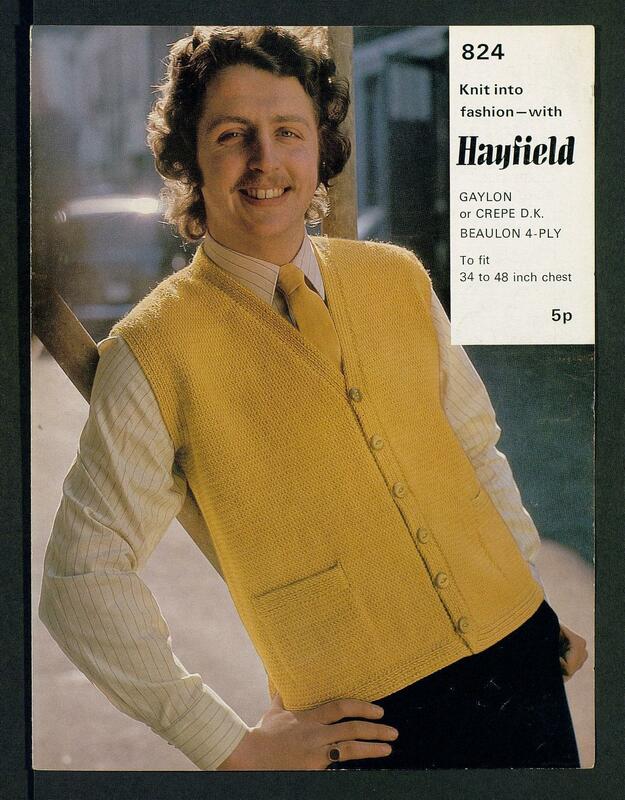 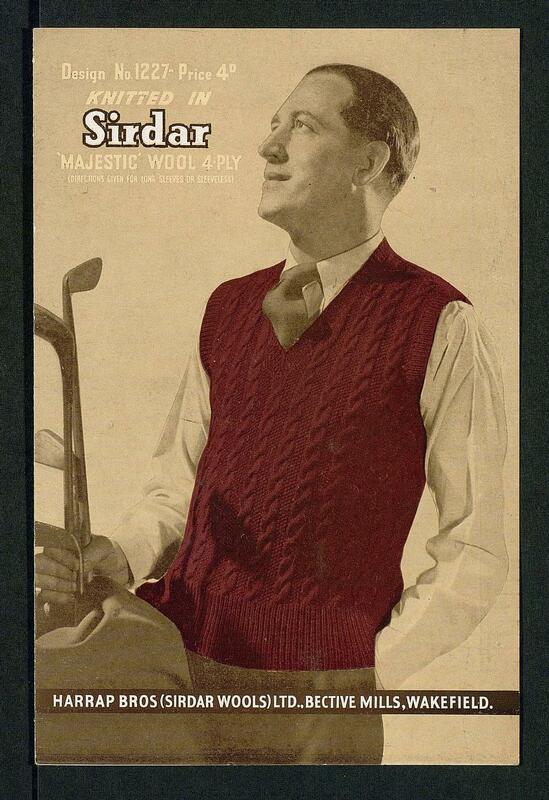 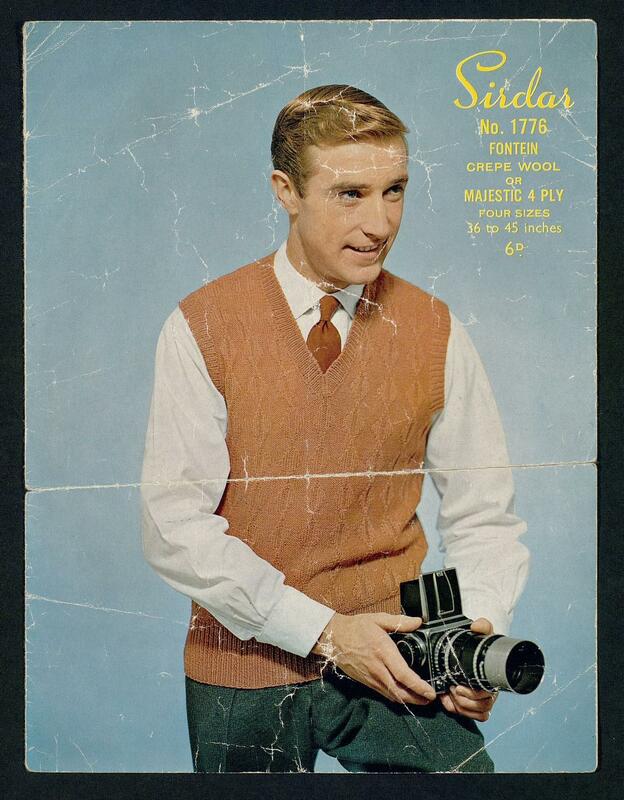 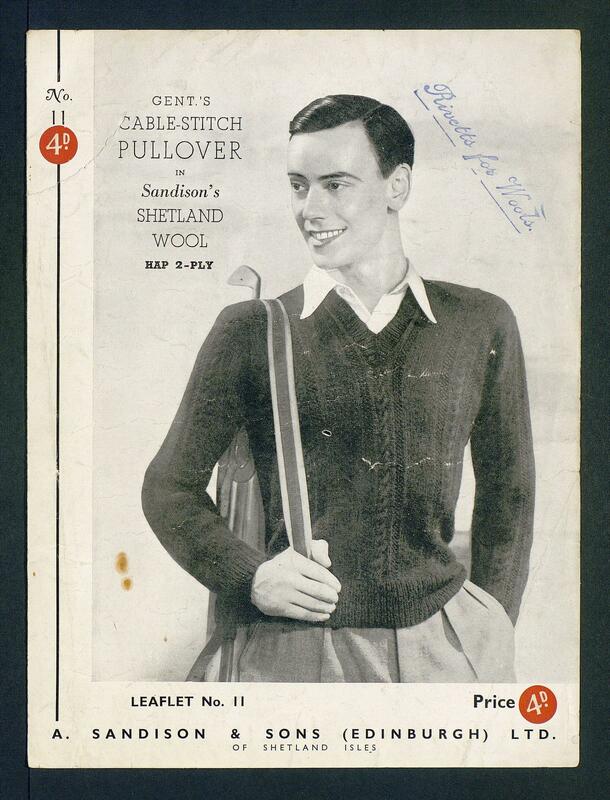 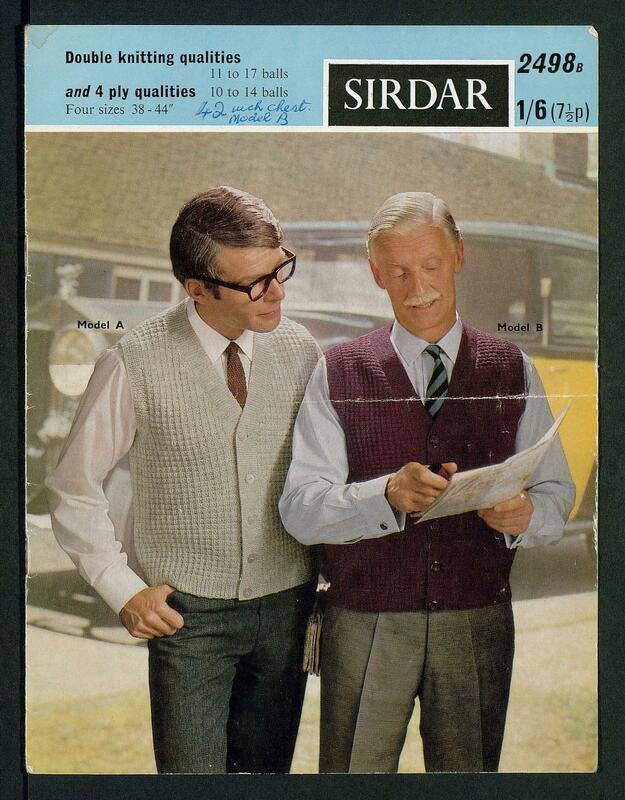 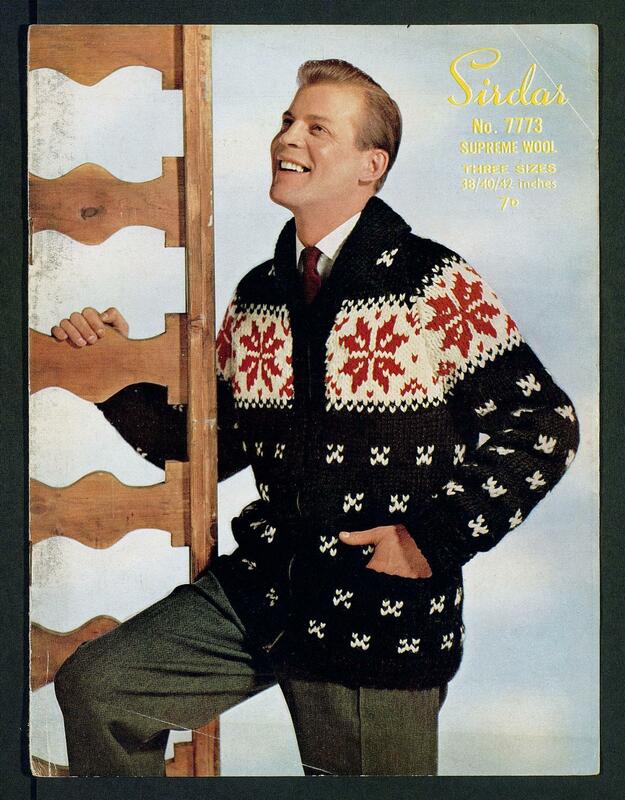 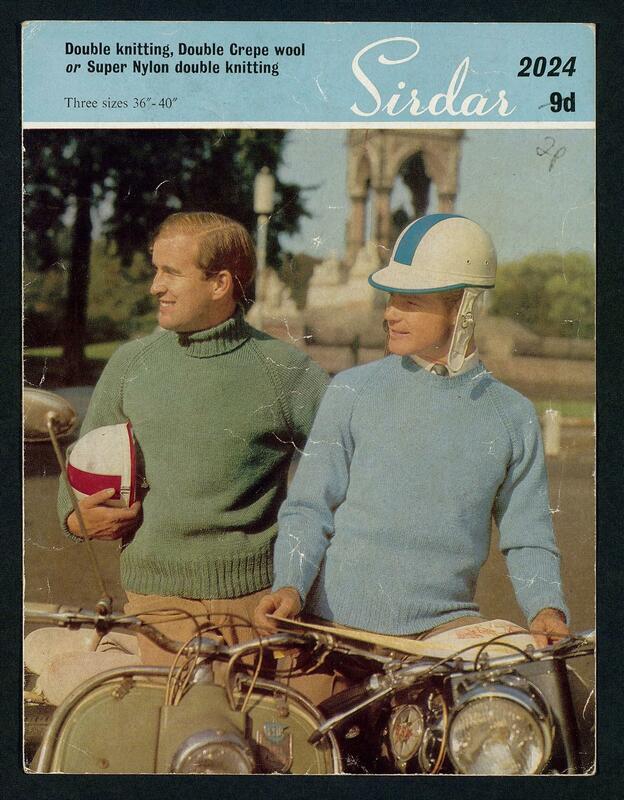 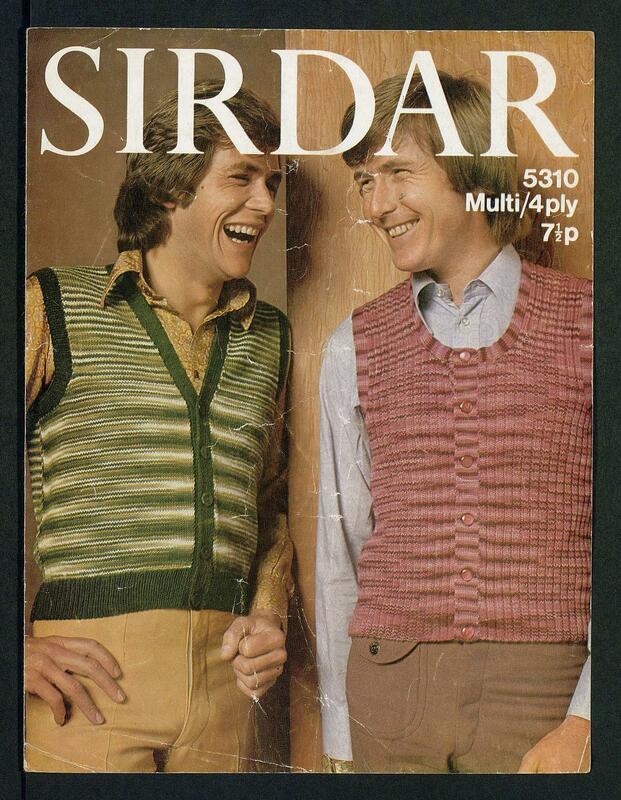 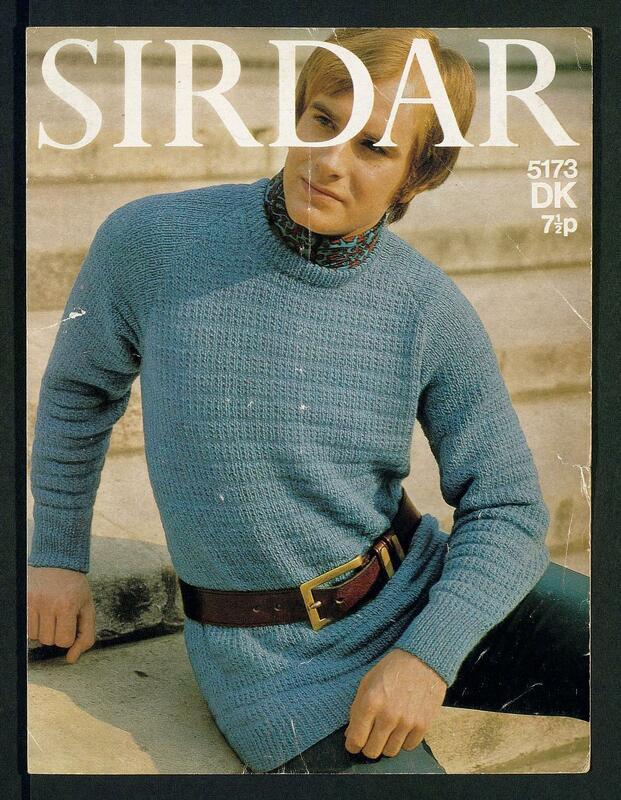 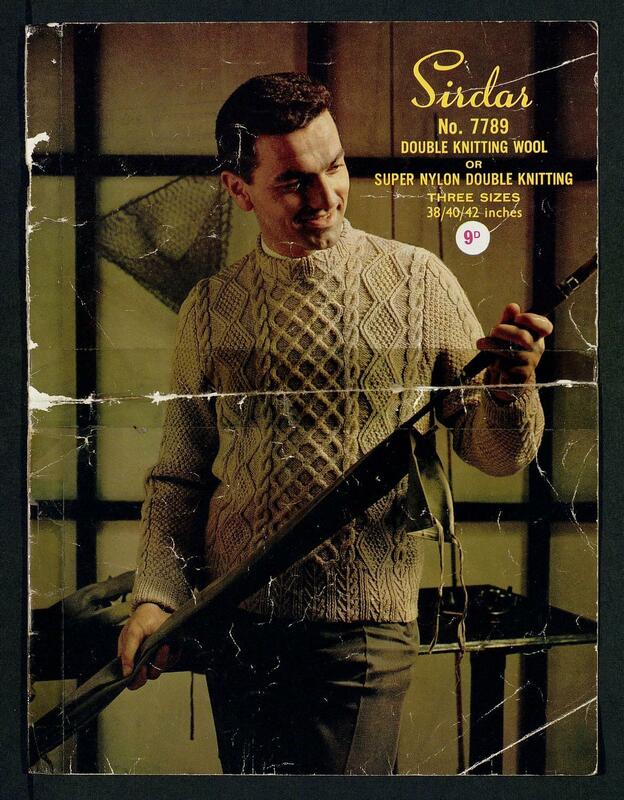 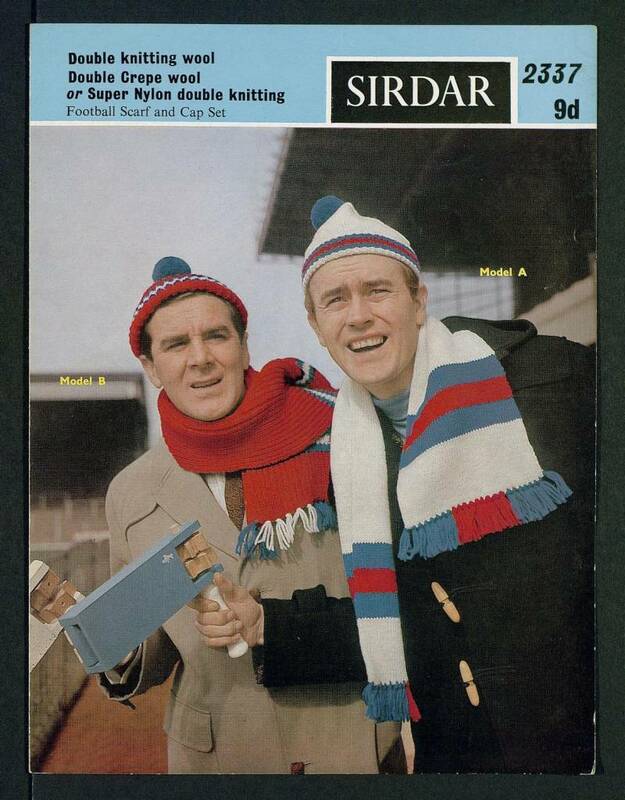 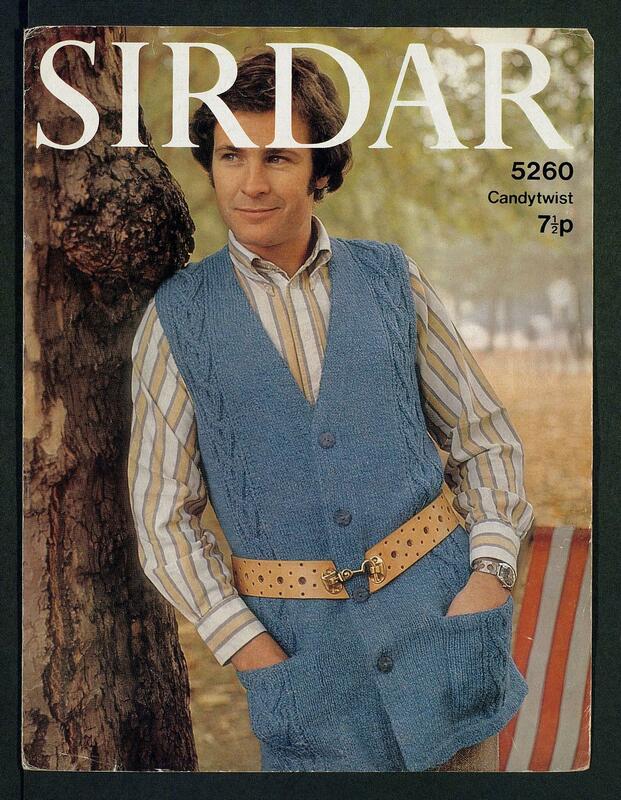 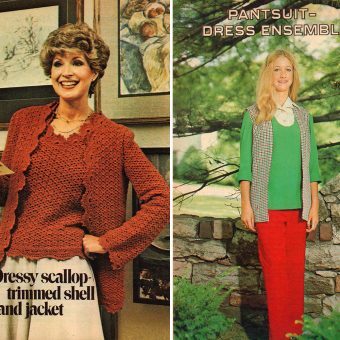 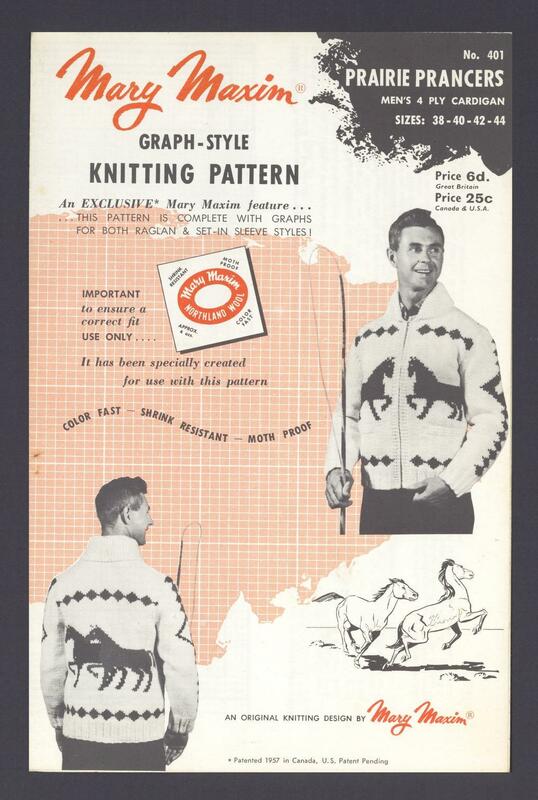 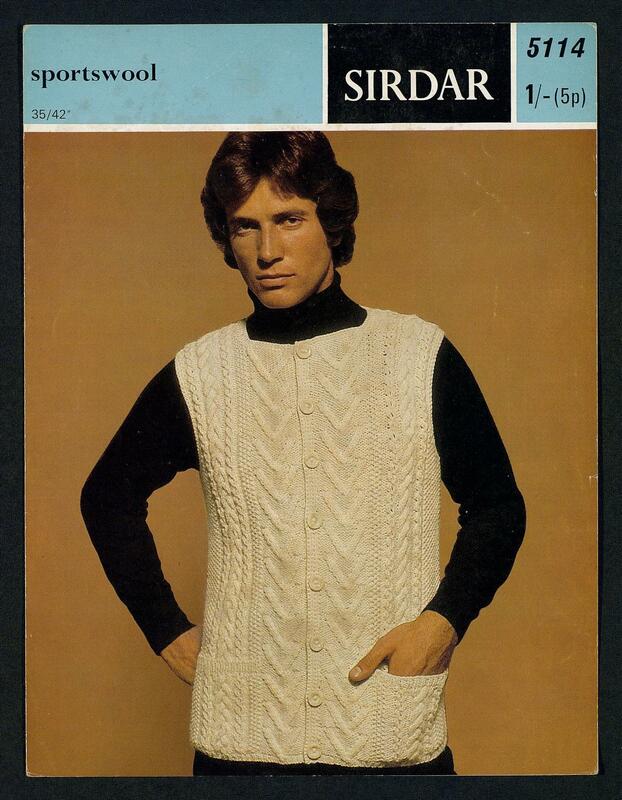 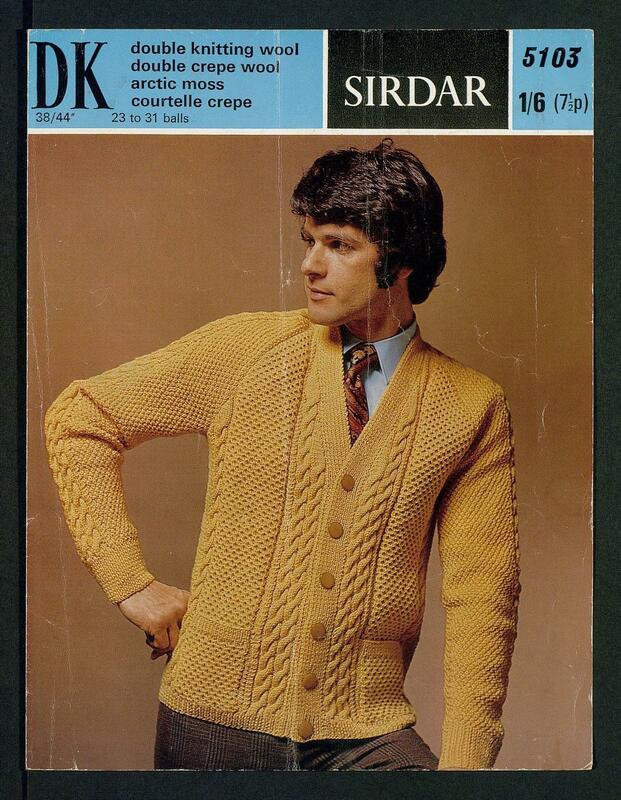 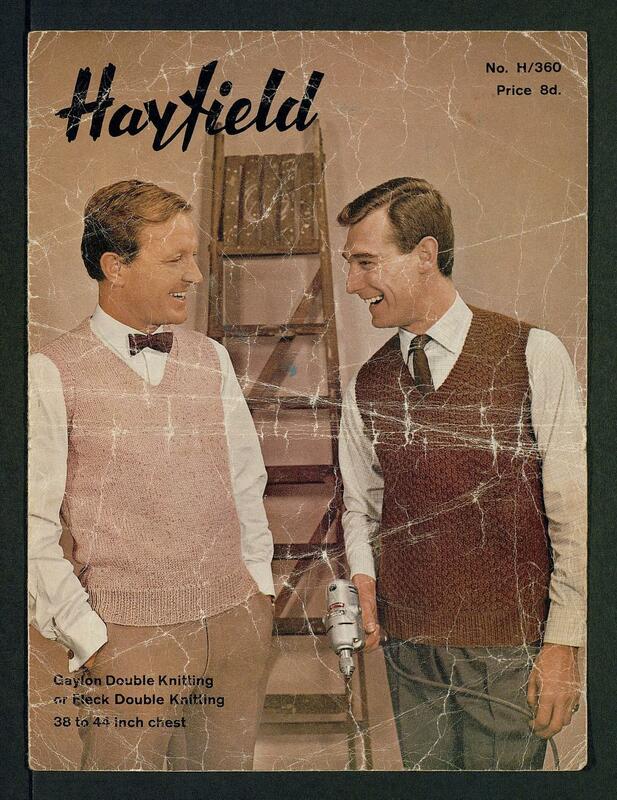 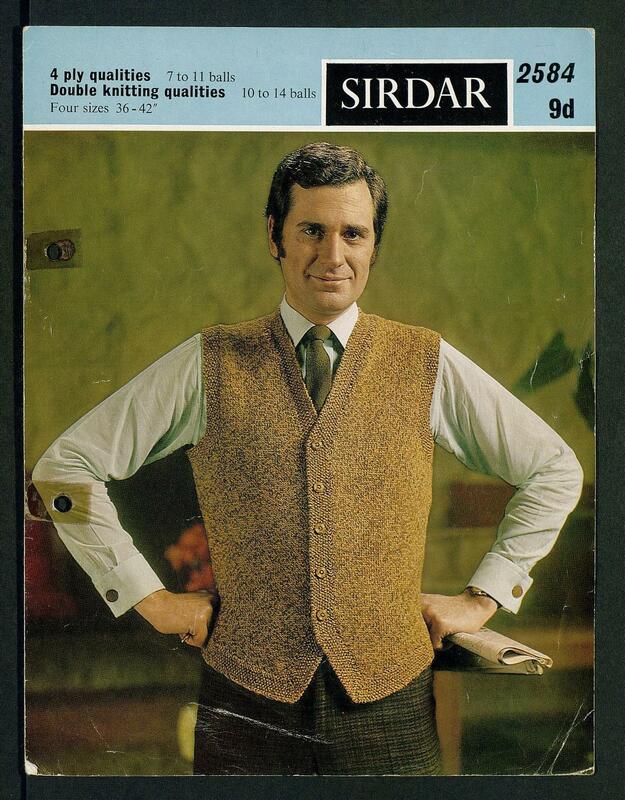 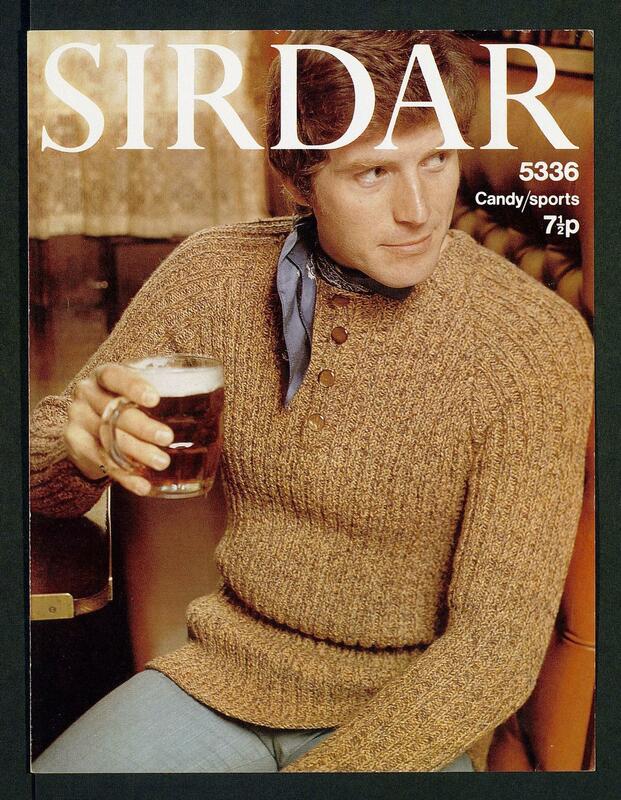 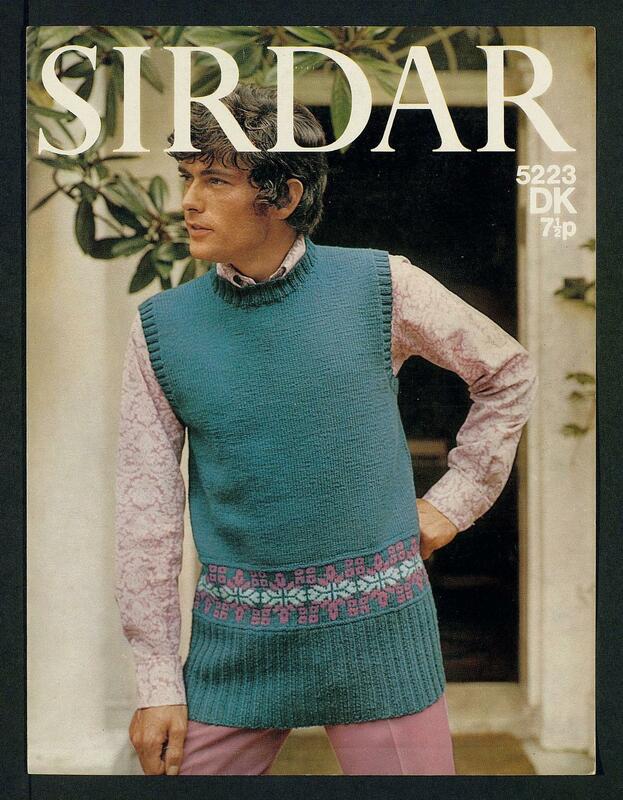 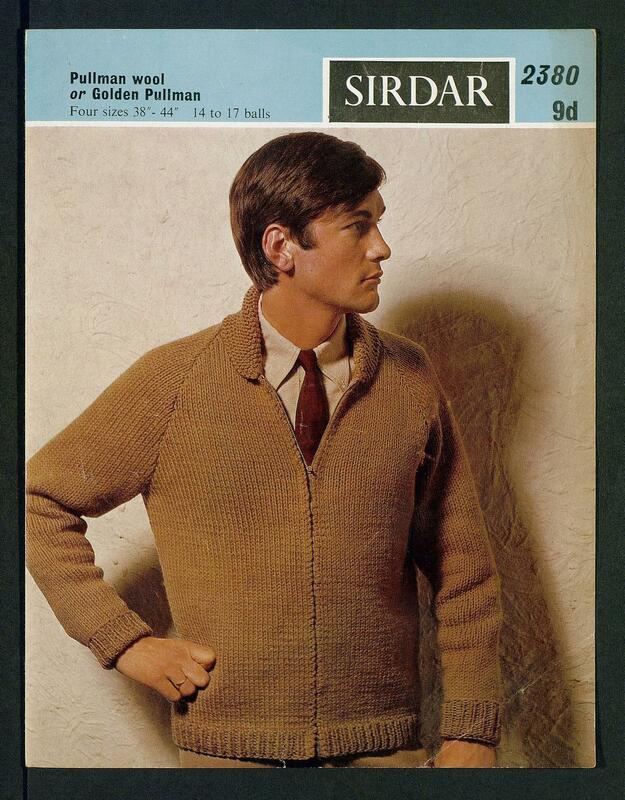 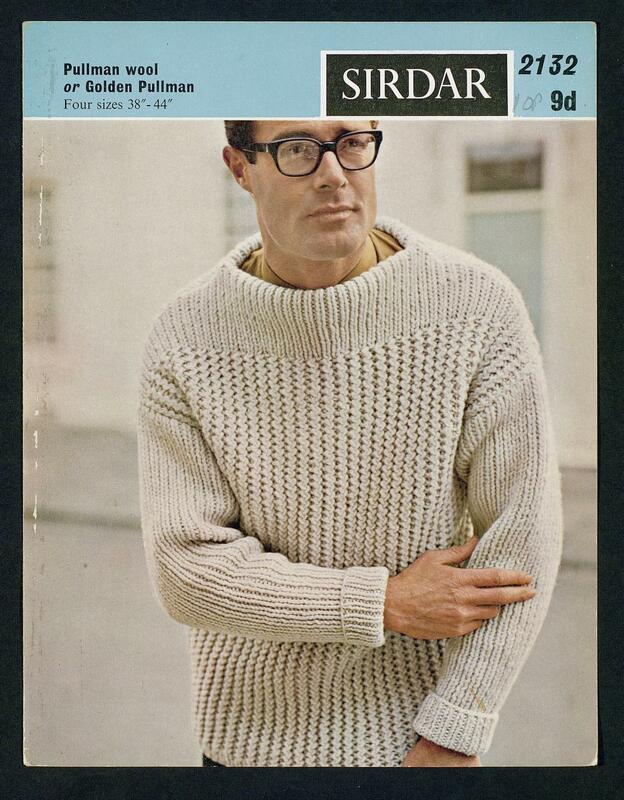 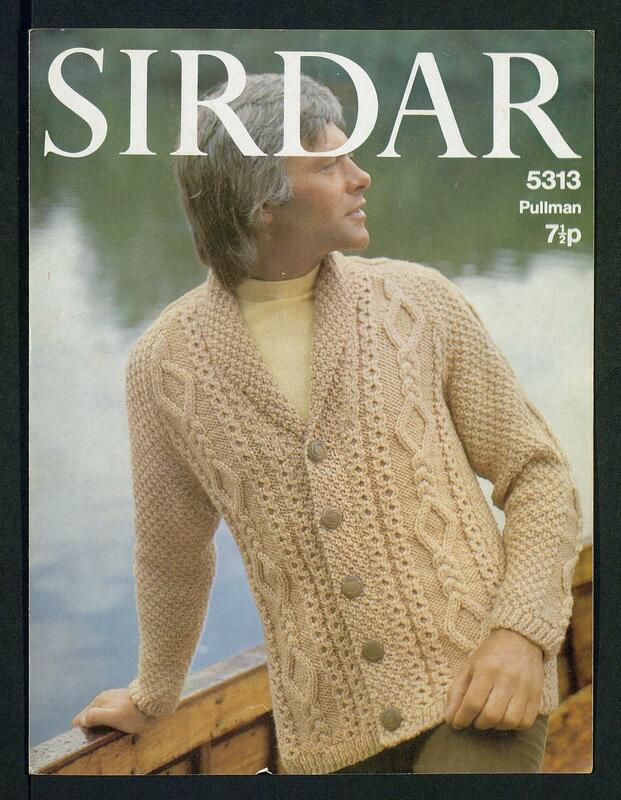 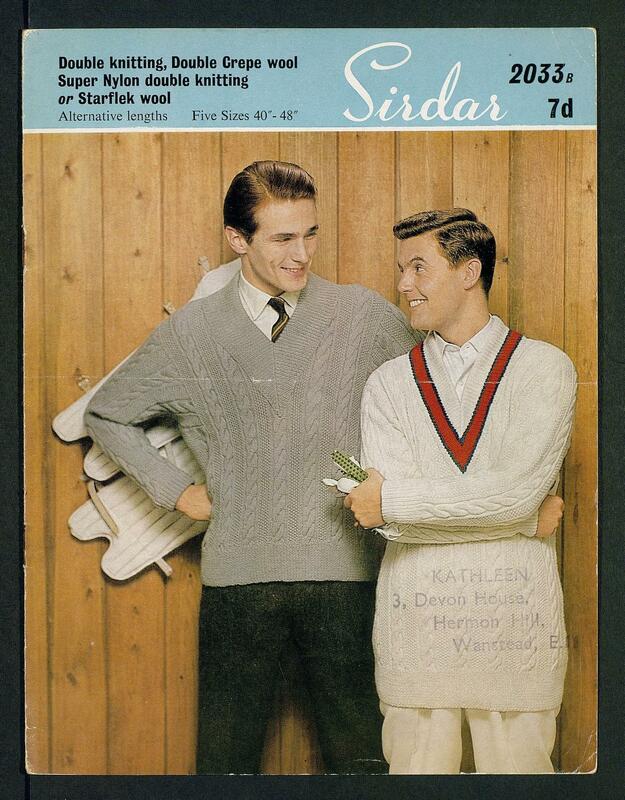 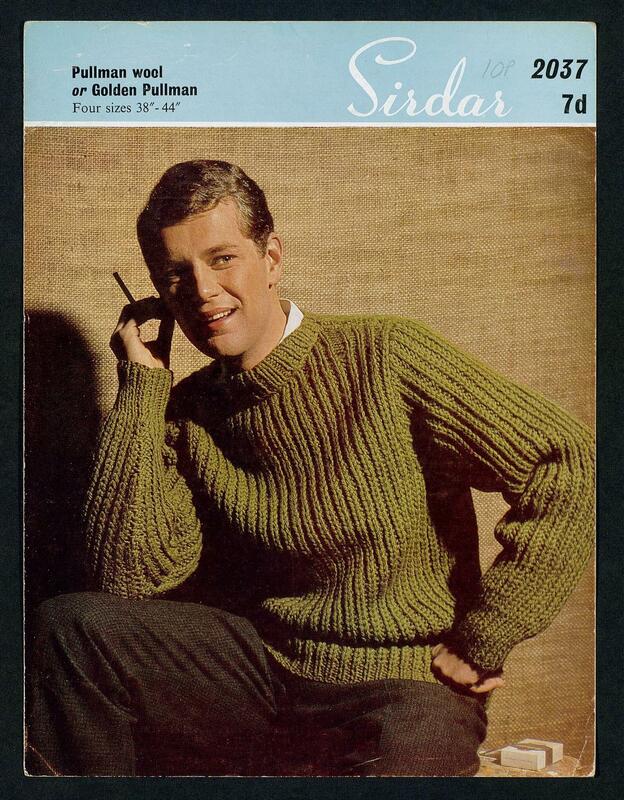 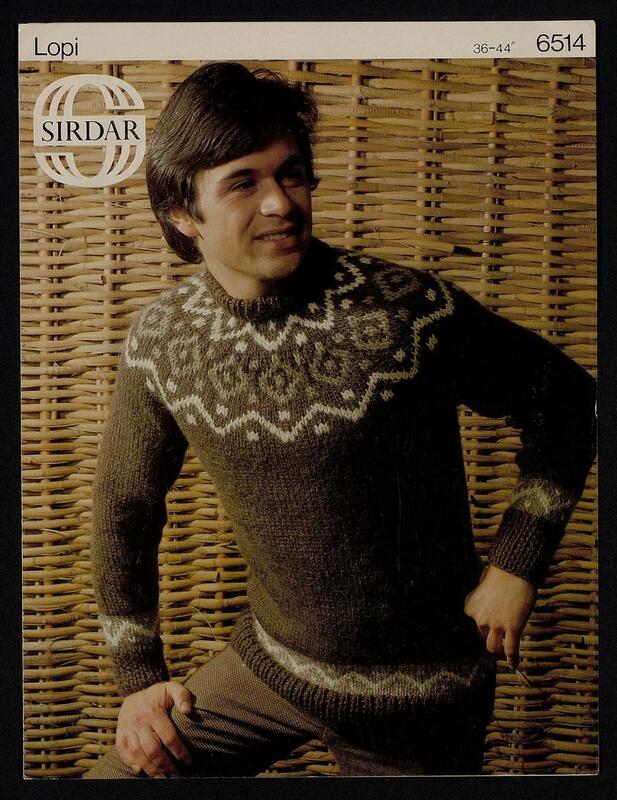 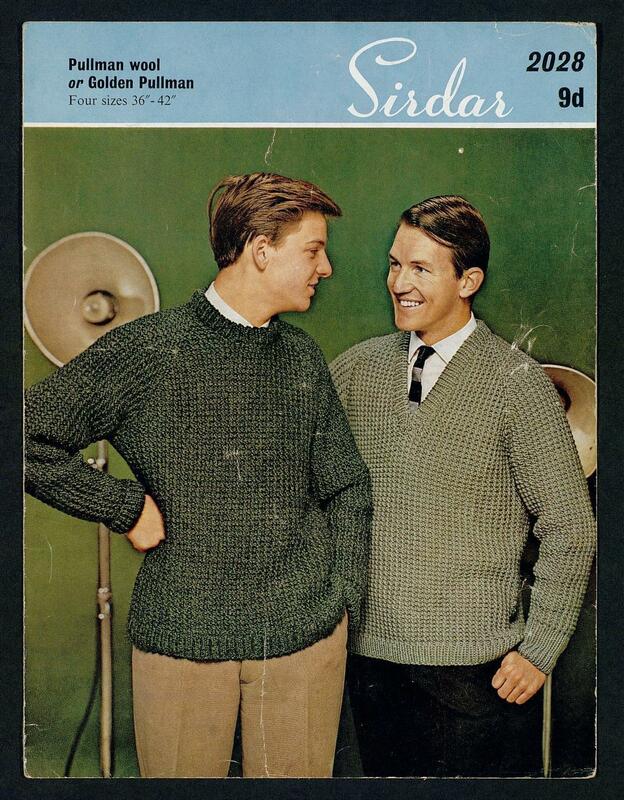 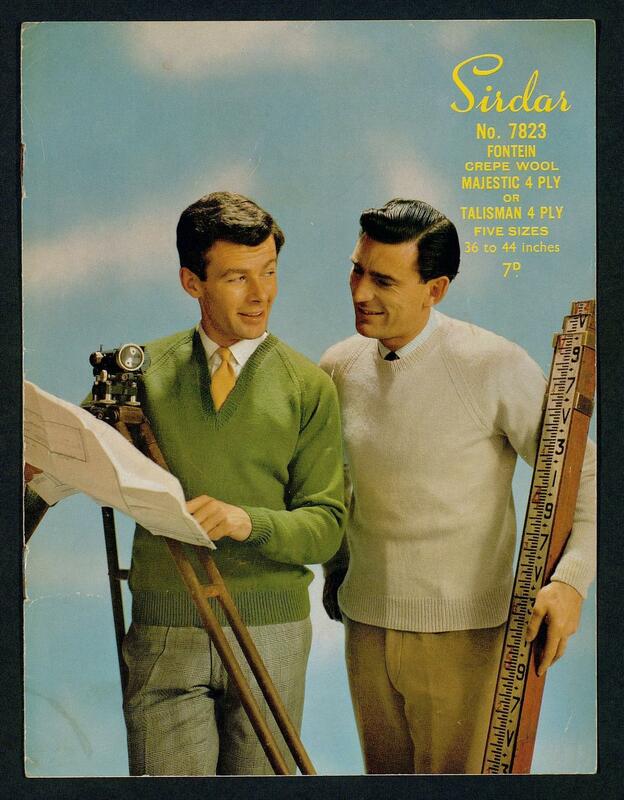 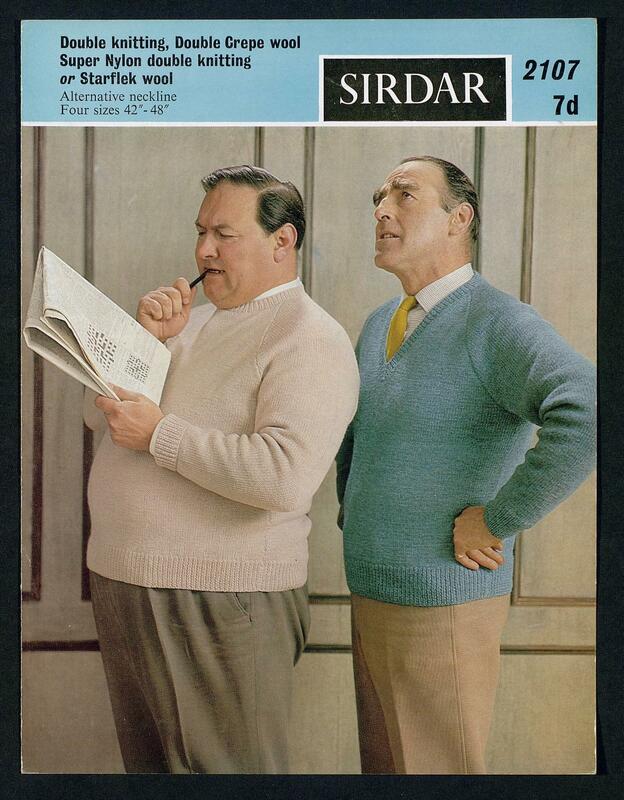 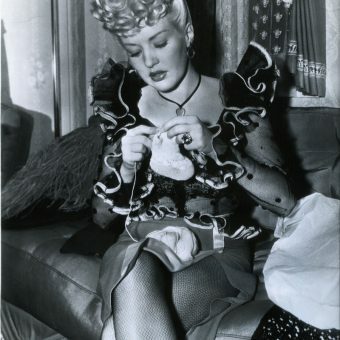 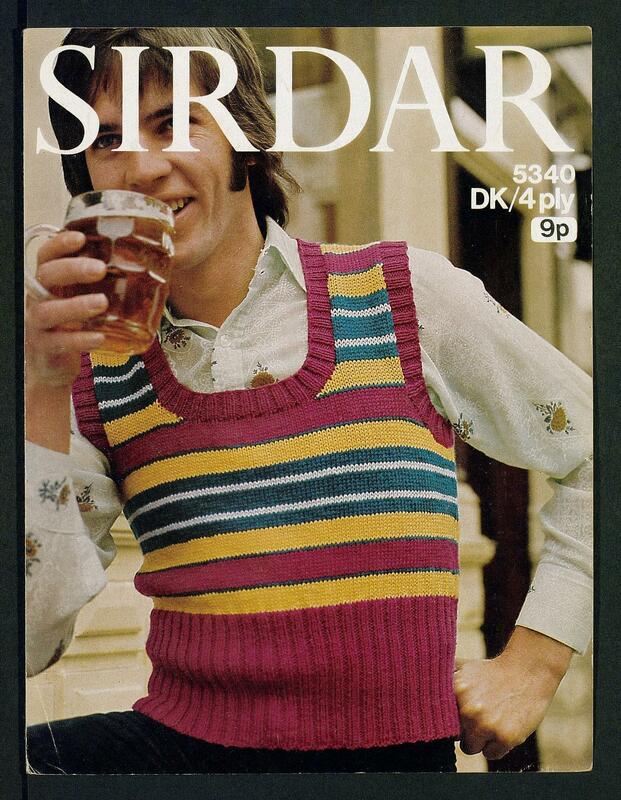 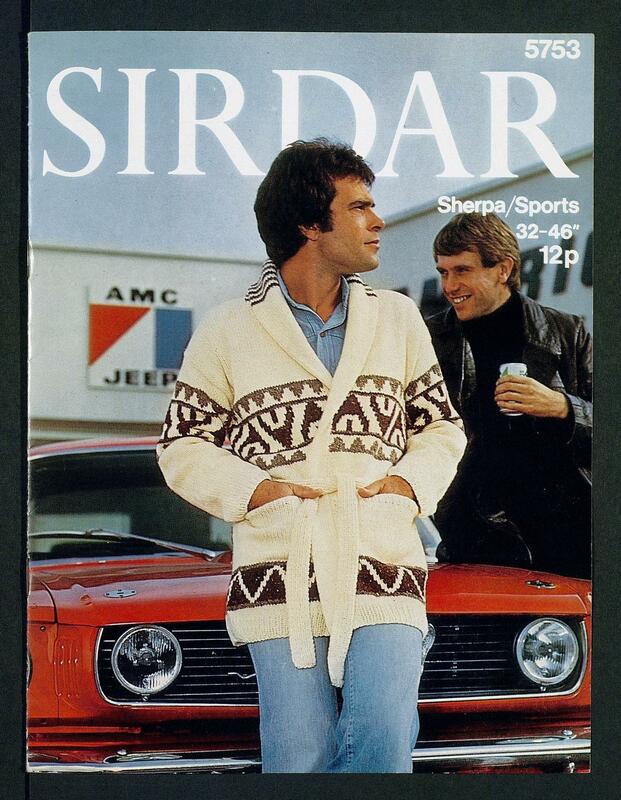 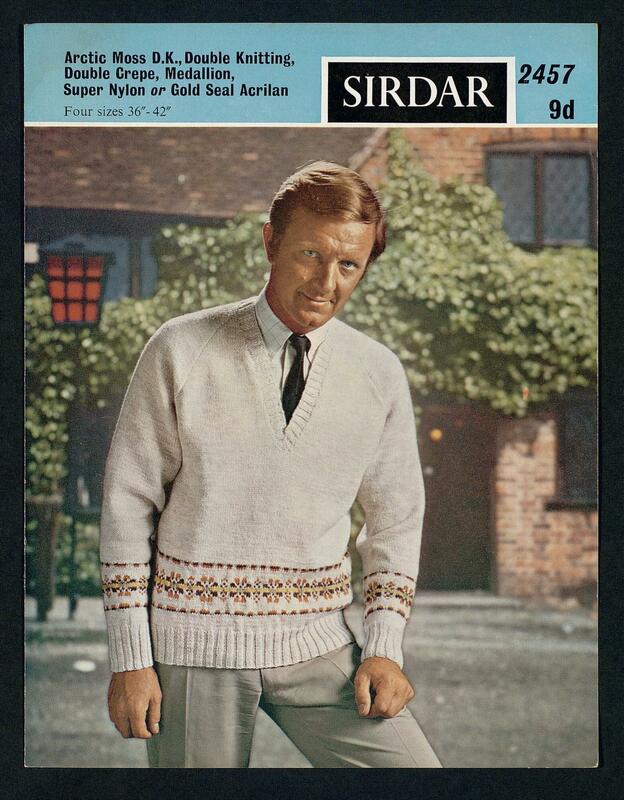 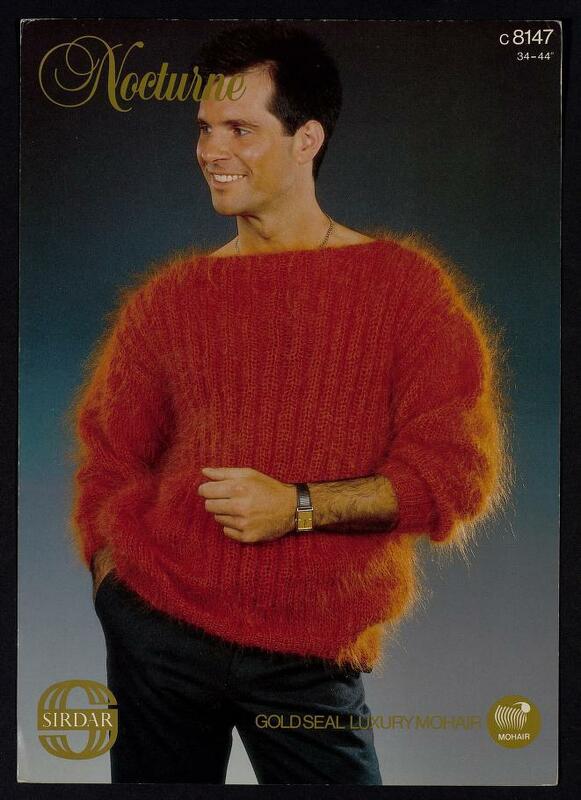 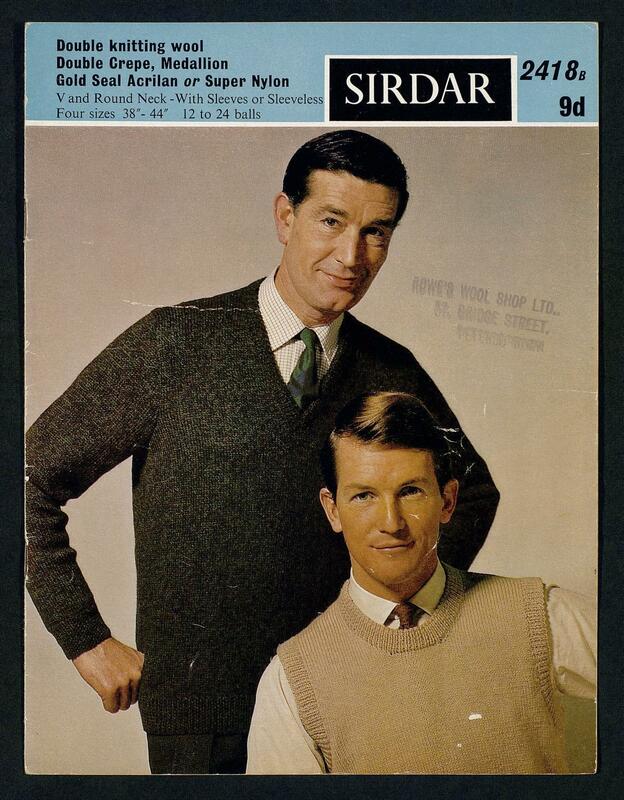 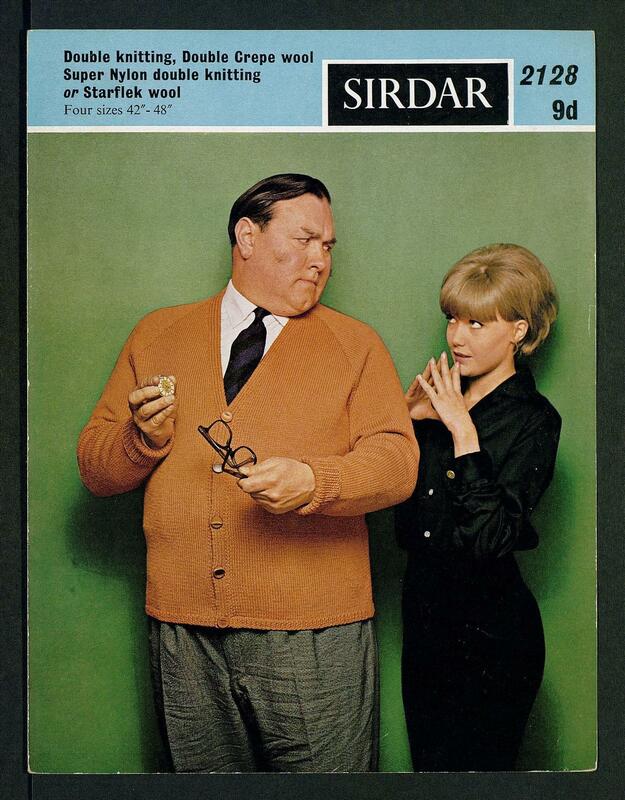 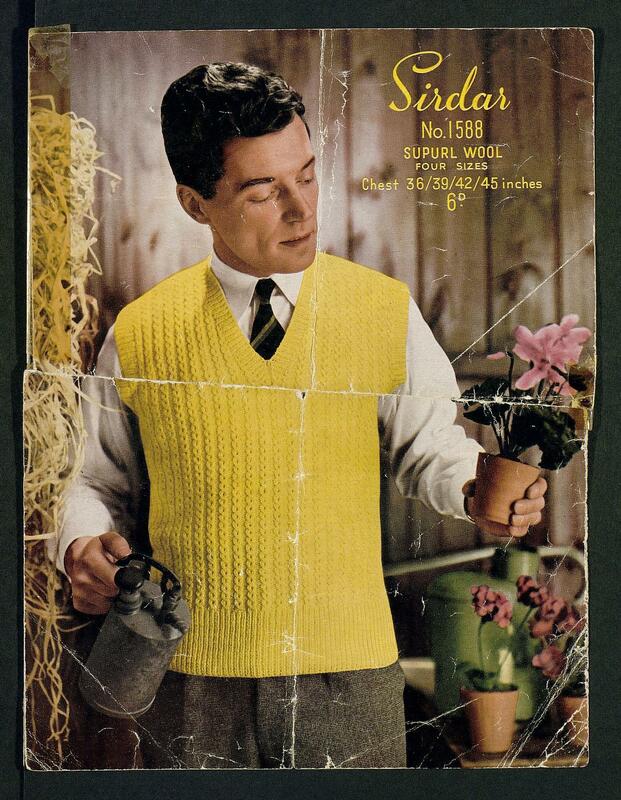 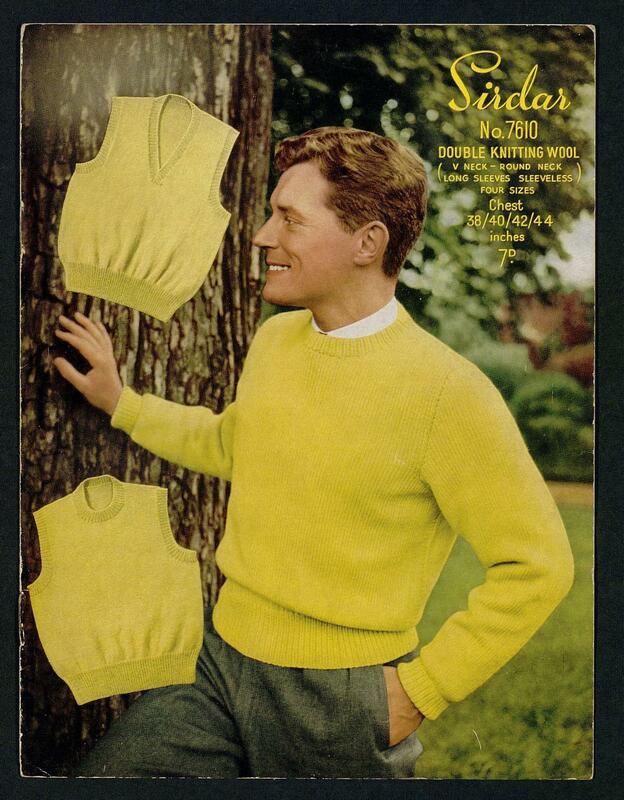 When we brought you highlights from the University of Southhampton’s online Knitting Reference Library, looking though the patterns, journals, ‘stitchionaries’, magazines and books from 1849 to the present day we noticed one recurring theme: men. 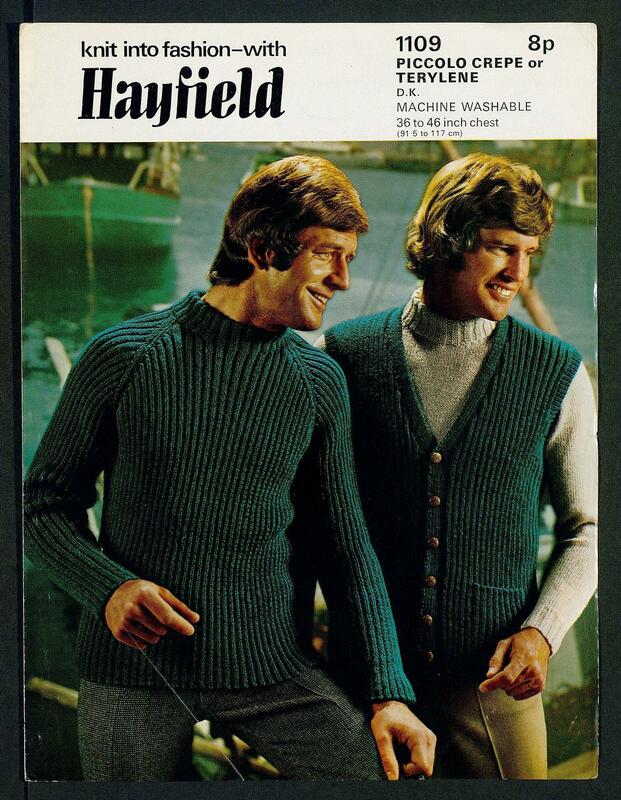 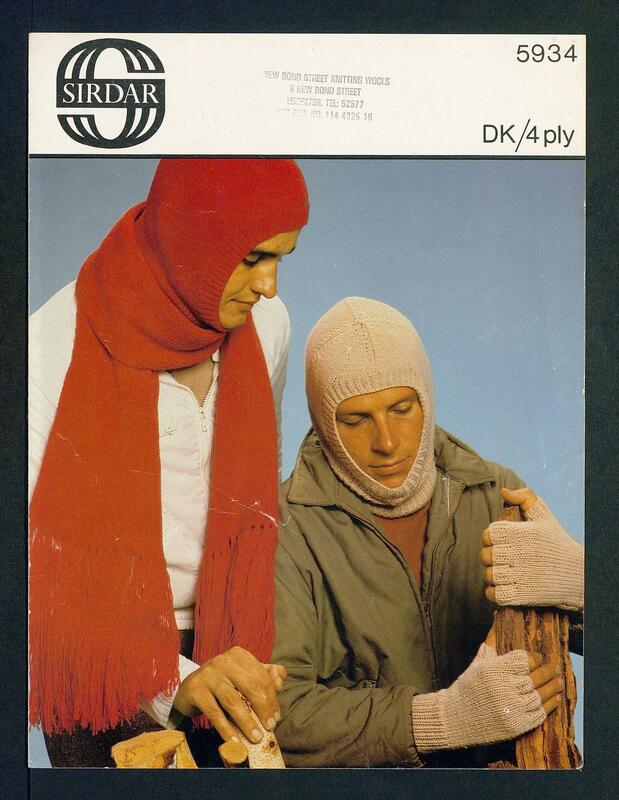 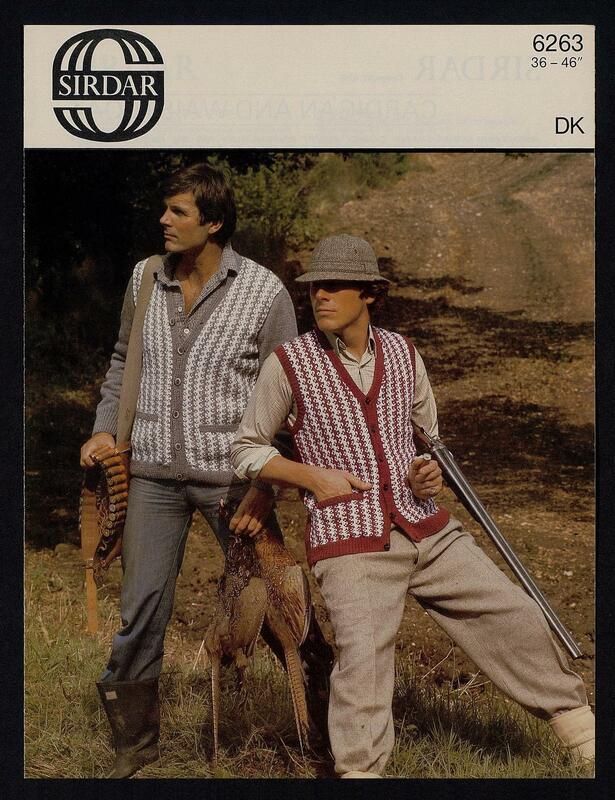 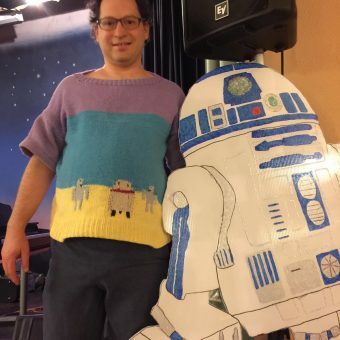 Often seen handling weaponry, wooden objects and sticks or gazing into the distance, the men are often in pairs – two sexually secure men wrapped in machismo and complementary hand-knitted sweaters. 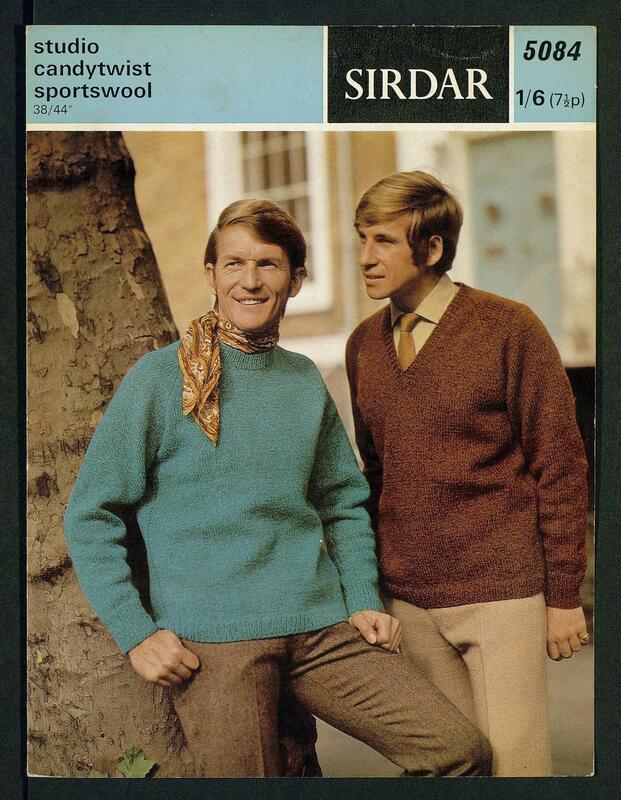 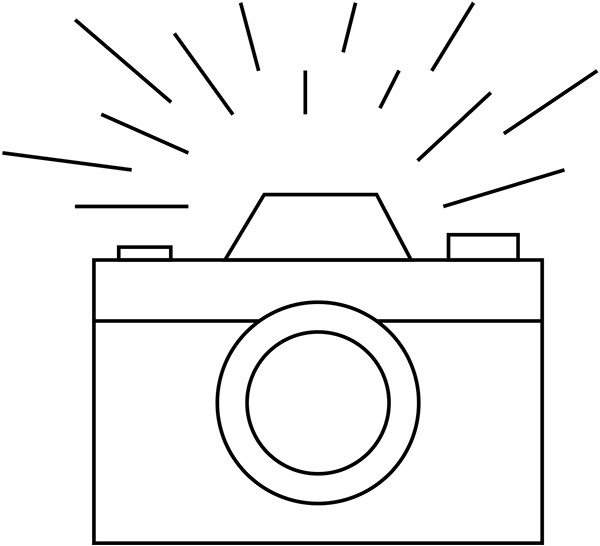 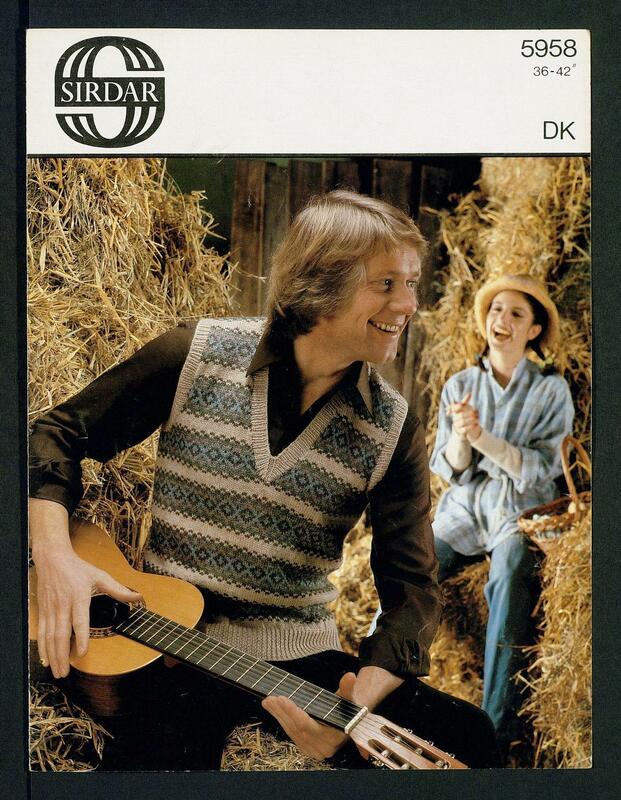 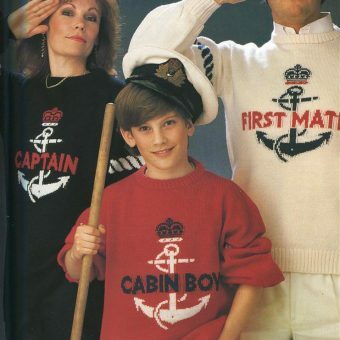 In their minds they are modelling for adventure – Really Ripping Yarns – rather than for a future story on camp kitsch. 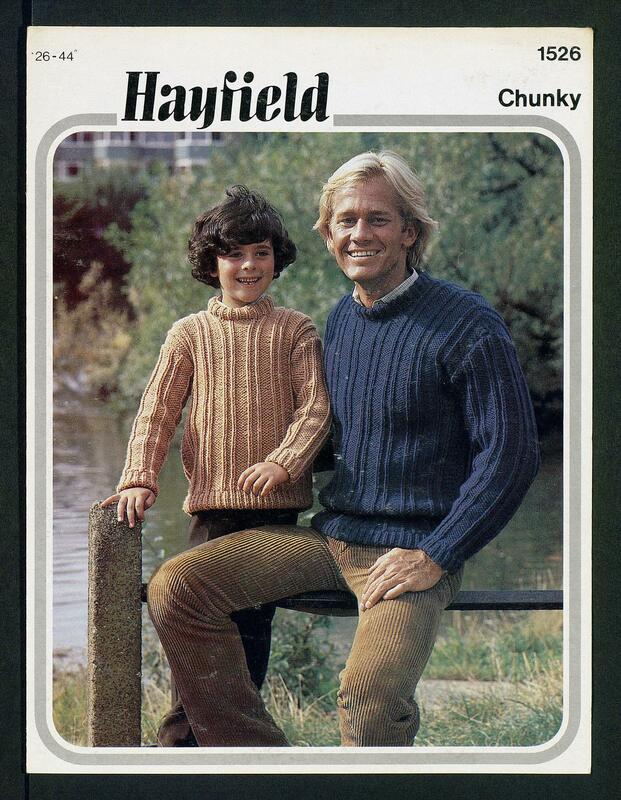 Arguably our favorites are the older man and younger buck tableaus. 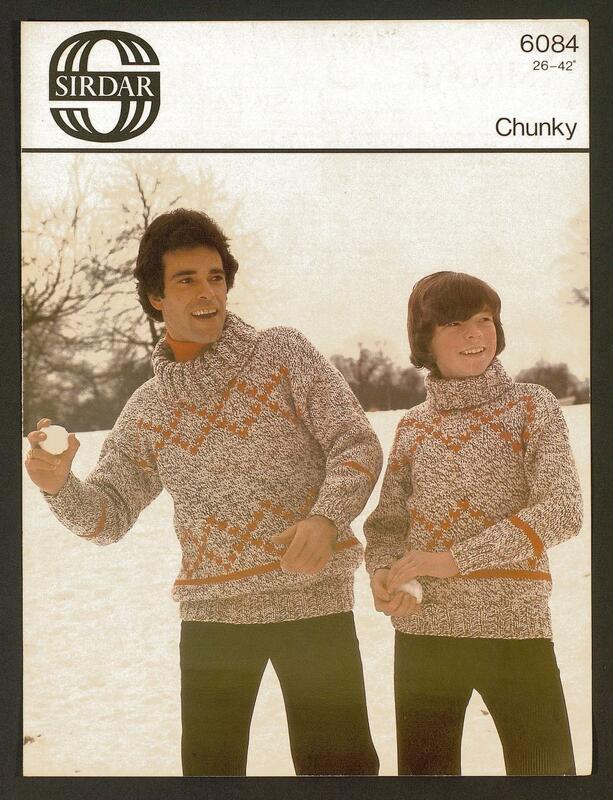 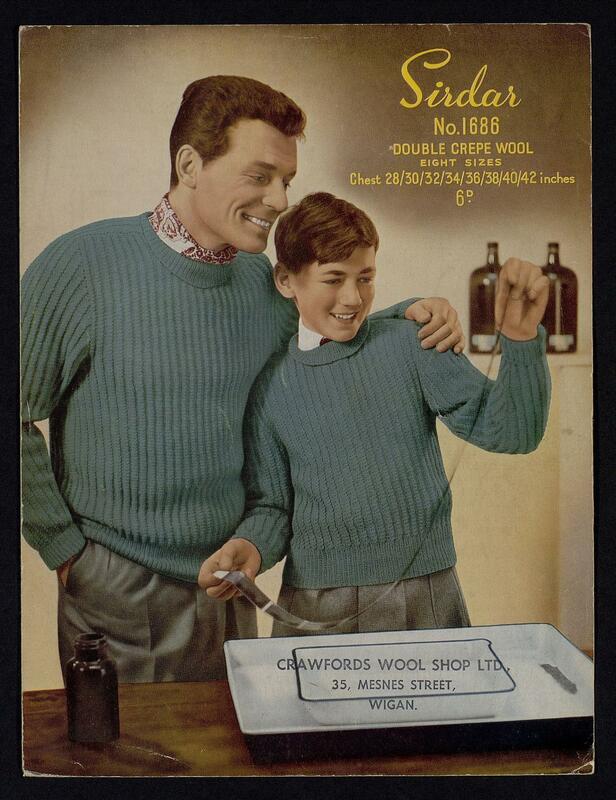 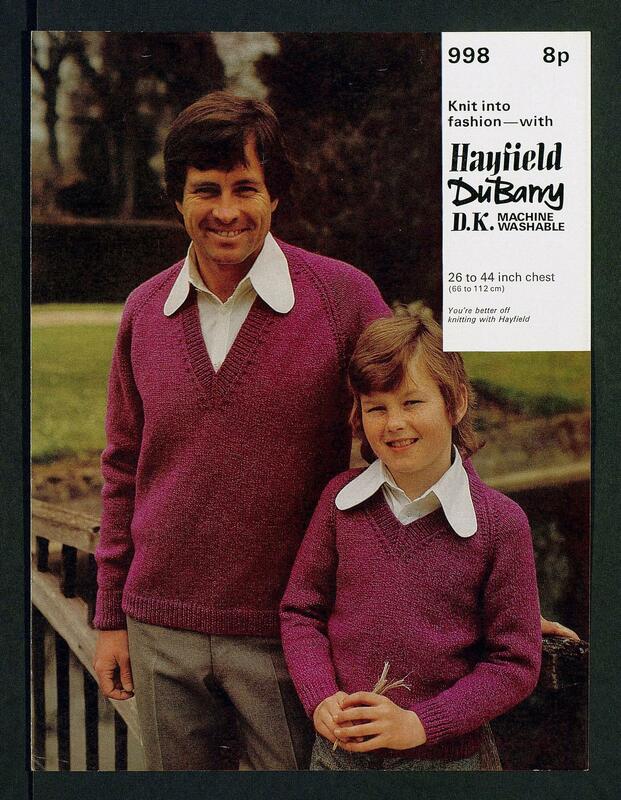 They depict father and son united in uniform wool, but you can’t be certain what the relationship is, and in at least one picture the boy could be a tailor’s dummy.